Every year, November 4 is the day we blog for peace. This year, November 6 is Election Day. In my blog blast post, I'm marrying the two. Think peace when you vote. When you have a choice, support the candidate who seeks to build bridges, not walls. Cast your ballot for the candidate who will bring us closer to commonsense background checks and a ban on assault weapons. Remember the words of Notre Dame's Rev. Theordore Hesburgh: "Voting is a sacred sacrament." 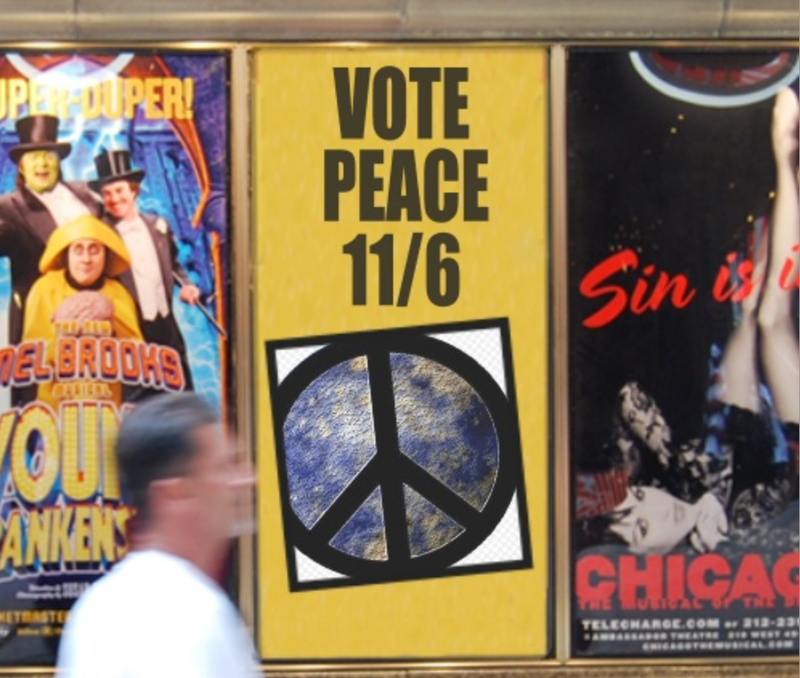 Make your vote a vote for peace on Tuesday! Go here to find out more about Blog4Peace. Perfect post. :) Best peace wishes and love to you. Can't believe we've been here every November for over a decade now. How did the time go by so fast? YES! May every peaceful being vote for bridges, not walls. I hadn't done a peace blog for several years but remembered this year to do it. We need it so badly; I feel the anger, fear, and hate all over and it makes me want to never leave my house. The perfect post. I voted already, and for Peace. Wise words from a wise friend. Miss you! Let's catch up soon. Yes, vote for peace and those who want bridges not walls.